To bring your own device or not? So, you’ve heard the term bring your own device (BYOD), and you’re thinking about the possibility of introducing it at your school and having students bring in their devices from home. But what does this mean for your school and it’s network? If you spoke to anyone who is supporting your school in a technical way and mention wanting to set-up a BYOD policy in school, they would probably turn white and tell you it’s a terrible idea. The reason for this response is that the set-up of these devices could result in a lot of extra work and some IT departments think that the negatives outweigh the positives. The first major concern for BYOD is that you could potentially open up your network to all sorts of nasties – like viruses and malware – so you would need to address this from the start, whether it’s running the school’s chosen anti-virus on the student devices or setting up network policies that keep your network safe. It would be essential that internal firewalls and external firewalls are in place. In most cases a school would set-up virtual LANs; this would enable the school to separate access from school databases or sensitive data. The school would also need to make sure that the network could handle the sudden increase of devices accessing wireless resources along with internet bandwidth. One of the first jobs a school would need to do is to have the school’s wireless capabilities checked and to ensure that the internet speeds of the school would be able to cope with a lot more devices accessing the internet – the last thing you would want to do is have BYOD set-up and then find that the school’s infrastructure doesn’t perform as well under the increased use. It would be highly advisable for your school to set-up an acceptable use policy outlining how you would expect the students to use their devices in schools, you could then have this signed by both the student and parent. These first points could put a school off straight away when looking at BYOD but you do need to consider the advantages. It has been proven that students use more technology when at home than they do at school. The main reason behind this is the students not being able to gain access to technology within the school day. For today’s generation of children, they want to use technology in every aspect of their life and enabling students to bring in their own devices gives them this opportunity. Imagine every student in your school being able to access a device at any point in time during the school day, therefore giving students limitless access to information when they need it. Essentially, students are able to use a device that they are familiar with and continue to use that device when at home so feel comfortable using it, taking away the barrier of students having to learn how to use a new technology. It can also become a very cost effective way of getting technology into your students’ hands as the school isn’t having to spend money on as many devices for students. It’s also been proven that students take a lot more pride in technology when it is their own device they are using and having to look after, resulting in them taking better care of it. Furthermore, the learning becomes student driven, it enables students to process the information they are being taught. At the same time, it gives them the flexibility to research it in their own way while being taught, giving them more questions to ask and widening their learning. Some schools have introduced their own purchase scheme for students where parents can buy new devices. This does give the advantage of having a blanket of the same device across the school that students can use within the school as well as at home. The disadvantage of this though is that not all parents may be able to afford to purchase a device for their students; in these cases I’ve known schools to set-up a loan agreement or a partial pay plan. This does mean the school won’t be making such a cost-saving on devices but it does mean that the school could potentially make savings on technician time. As you can see there are many positive aspects to using BYOD but it does come with certain disadvantages, such as the security concerns. 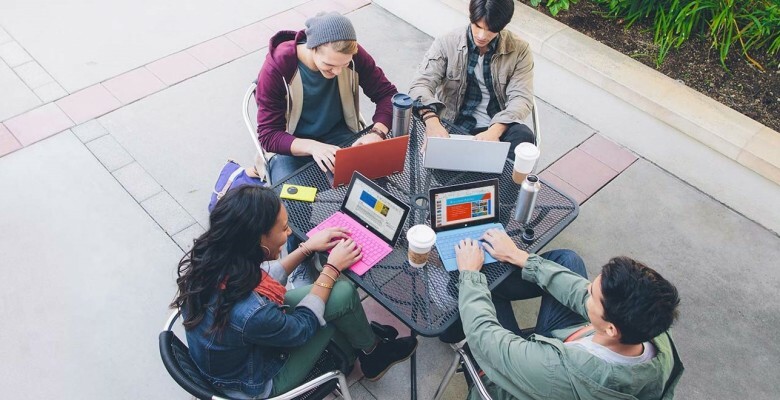 To get the most out of a BYOD scheme, it would be sensible to introduce a cloud solution, like Office 365, to enable students to then access everything and anything they need, wherever they are.